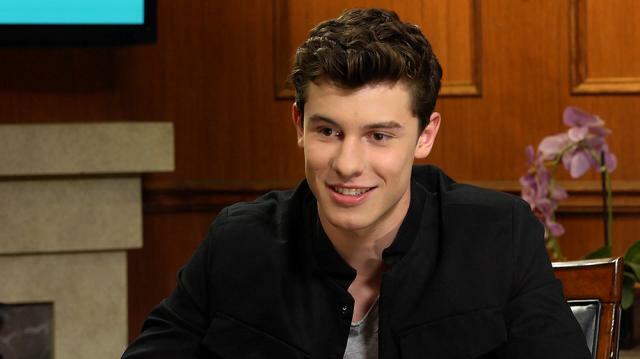 18-year-old music sensation Shawn Mendes discusses whether or not he enjoys being compared to fellow platinum-selling artist Justin Bieber, something many in the industry have a tendency to do given how similar Mendes's path to stardom is to that of Bieber's. Larry King: Is this the way Bieber started, Justin Bieber, Ed Sheeran? Larry King: Are they kind of the same route? Shawn Mendes: Kind of, kind of. Justin started on YouTube, so a little different, but yeah. Larry King: Are you, do you get compared to them? Larry King: Do you like that or not like it? Shawn Mendes: I think there’s things to like and things not to like. I think Justin and obviously Ed Sheeran are both phenomenal artists. Obviously my music’s different than Justin’s, closer to Ed’s so you know, there’s good things. Larry King: You know each other? Shawn Mendes: Justin and… yeah, yeah. Definitely. Larry King VO: Watch new episodes of ‘Larry King Now’ Monday, Wednesday, and Friday on demand on Ora TV and Hulu.